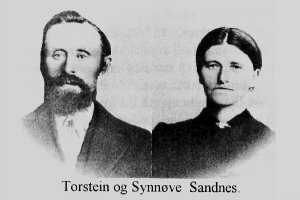 A complete transcript of this classic family history from Romsdal. Look here ! Confirmation lists from the parish of Grytten, Romsdal Transcripts include a number of years from 1736 to 1818 from Grytten, Kors, Hen, Voll and Eid. Abelstedt's Reiseruter 1892, map over southern Norway Looking for names of places long forgotten? Ever wanted to know the route your Norwegian ancestors travelled to the port of emigration? I have scanned the map included in the 1892 edition of Abelstedt's traveller's guide. From time to time genealogists ask me if I can take a picture of the farm or the village their ancestors came from. Some are lucky and the result end up on the The Romsdal Picture Request page.